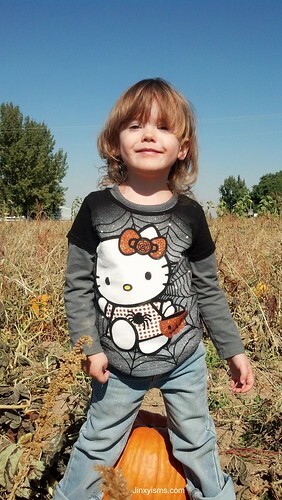 This weekend we tossed on Lily’s 2012 Halloween t-shirt (I get her a new one every year) and headed to The Patch. 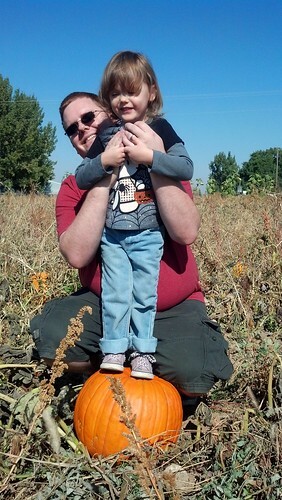 It’s the same Pumpkin Patch that we went to last year. We really liked it and will probably keep going year after year for as long as we are here. 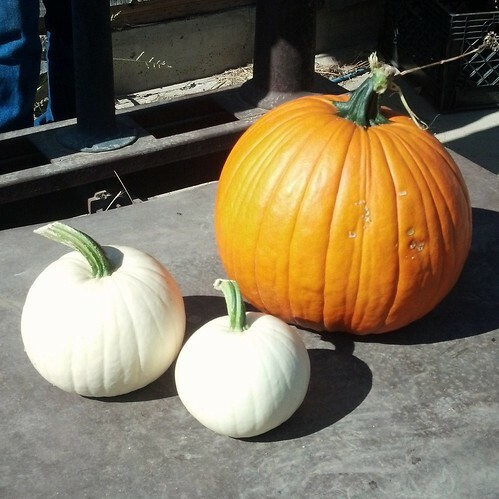 I have a thing for white pumpkins so we found a couple that were the perfect size. 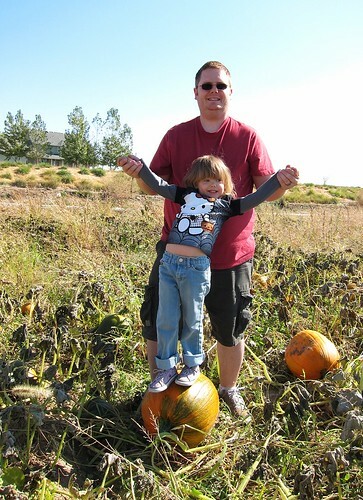 On a side note this trip to the pumpkin patch was the first time I’ve used my real camera since July. I could hardly believe it when I was looking at the memory card. Only phone pictures since fricking July. I’ve got to remember to grab the real camera more often. 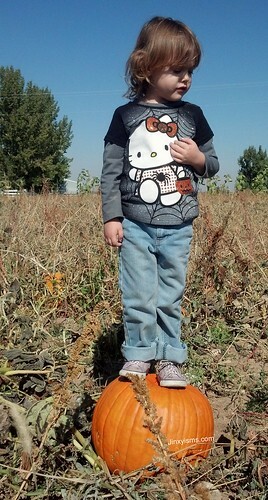 This is my favorite picture from the Pumpkin Patch. 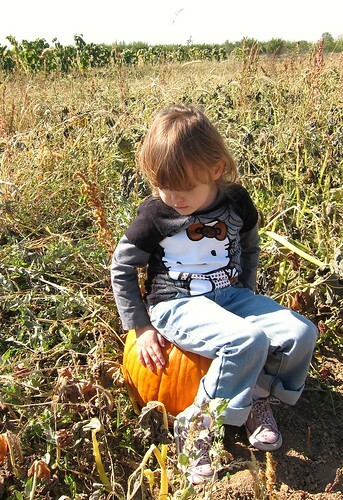 We ended up coming home with the two white pumpkins for painting and one pretty good side orange one for carving. 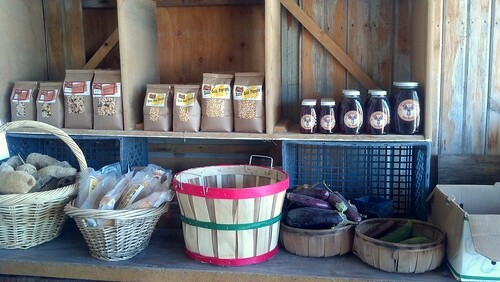 While we were paying for our pumpkins we went into their little store and saw Waldo’s brother’s honey for sale. It’s raw, unfiltered, local, yummy honey. This was the first time we’ve seen it for sale anywhere, it was pretty cool. I also bought one of their home grown loofa’s and came home and cut it in half because I thought it was too big. Huge mistake, now I have this tiny loofa that does nothing but annoy me because it’s hard to hold on too. Live and learn. We had such a nice time together, as is the norm. 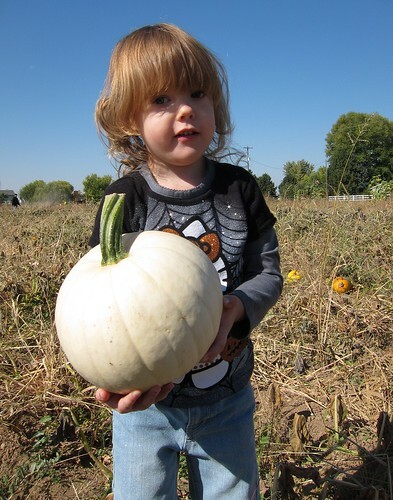 Now I can’t wait to carve pumpkins and put Lily in her witch’s costume and go trick or treating. 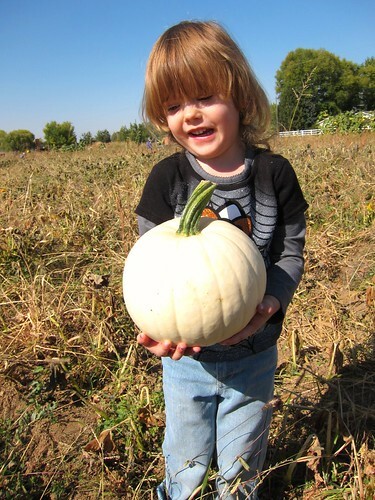 This entry was posted in Friends and family, Fun, Holidays, Lily, Phone pictures, Us, Waldo and tagged Friends and family, Holidays, Lil, Us, Waldo.